Safety First : American Demolition and Nuclear Decommissioning Inc. According to OSHA’s statistics, Demolition, Decommissioning activities, and Environmental Remediation functions are ranked among the most dangerous activities from a Safety and Health & OSHA Recordable viewpoint. These statistics highlight how Demolition Decommission activities are some of the most dangerous work in the Specialty Trade Construction Industry. One of the simple reasons these activities are so dangerous is because of the ever-changing environment which occurs on a Demolition, Decommissioning and Environmental Remediation project. Every day the onsite conditions will change because every day a specific part of the facility is cleaned up, removed, altered or destroyed as part of the project work scope. For instance, on one day you may utilize a certain stairwell to gain access to a portion of the facility or utilize a handrail or tie off location to protect yourself while performing a certain task, then the next day that same stairwell, handrail or tie off location is gone because it was demolished as part of the scope of work. These continually changing site conditions are inherently dangerous and present numerous challenges for communication, training, employee awareness, and protection factors which must be at the forefront of every person’s mindset while working on a demolition or decommissioning project. American DND’s Safety Program is based on addressing these Challenges. For these reasons the Owners, Officers, and Senior Management Team of American DND have established SAFETY as a #1 Core Value for every aspect of work on every project American DND performs. Demolition decommissioning and environmental remediation is simply a “people” business, where “people” perform the service of demolition and decommissioning for a given client. The equipment, supplies, materials and consumables we utilize on a project can be easily replaced and expended. However, the people are the most valuable asset on any project and the very well being of every person on a decommissioning project is only guaranteed by the approach, dedication and attention given to Safety. 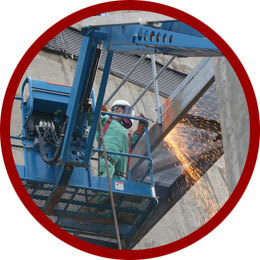 Safety guarantees the people on a project will go home the same way as when they reported to work. 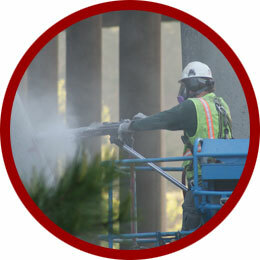 American DND utilizes an extensive and all encompassing approach to Safety within our organization. The central component is a comprehensive Health & Safety Program (HASP) which is utilized as a guide to help project personnel establish site specific procedures, work plans, and Safe means and methods under which site personnel will perform their daily tasks. The general HASP of American DND is founded on extensive “Lessons Learned” captured from performing over $600M of decommissioning work in industrial, manufacturing, nuclear and governmental projects over the past 35 years. An outline of the American DND HASP and our basic principles and approach to Safety are annexed to this section as an illustration of the different components which make up our General Health & Safety Program. In addition to the HASP, American DND subscribes to utilizing Behavior Based Safety (BBS) and Integrated Safety Management (ISM) programs as a way of enhancing, and facilitating a Safe work ethic, attitude and approach to performing decommissioning work. These additional Safety “tools” help create a corporate “Team” approach and attitude towards Safety whereby every person on every job is free to express their opinions, concerns and questions on any task so every project is performed in a Safe and healthful manner.